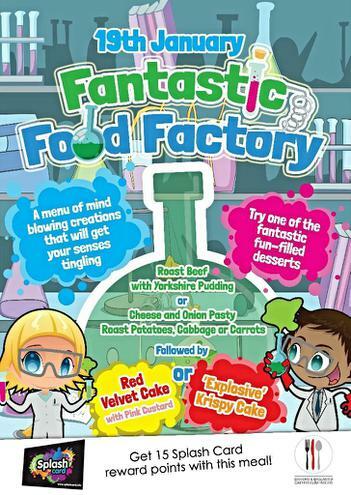 To promote the schools menu of healthy, hot school meals, on the 19th of January we will be offering The Fantastic Food Factory! A themed menu with two 'fantastic fun-filled' desserts. The main menu on the day will not change, as this day falls on a Thursday and we know how popular a roast dinner is, but we will also offer a choice of either a red velvet cake with pink custard or an ‘explosive’ krispy cake. From Monday 9th January, the menu will return to normal. Welcome to our Lunchtime pages! Thumbs up for our fantastic Midday Team! 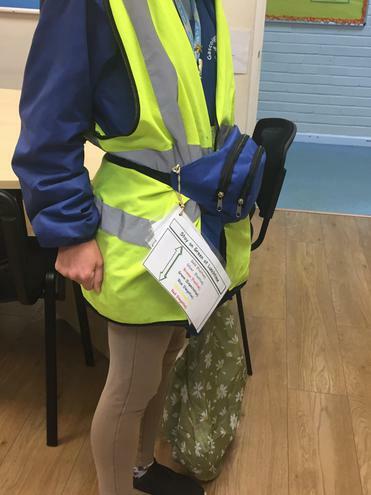 Our Midday Assistants are keen to make sure that our children show integrity as lunchtime; they have their Stay on Green prompt cards ready! Ms Pashai, Ms Excel and Ms Burton say... "We believe in developing respect and morals. We encourage interaction, but most of all we like to have fun, fun, fun!" Ms Warwick, Ms Dunn and Ms Portelli say... "We encourage the children to have good table manners and use their cutlery properly." Ms Hajji and Ms Munrir say... "We have been at Gascoigne for quite a long time! 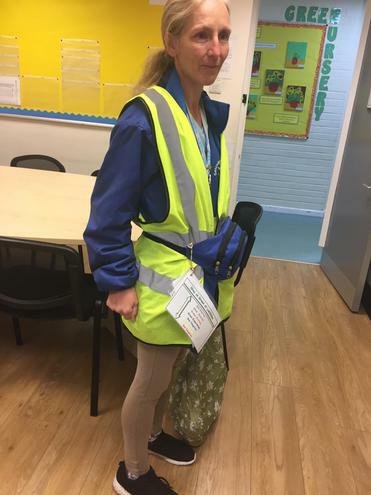 We are proud of the fantastic behaviour of the children during lunchtime." Ms Creese, Ms Uddin and Ms Henry say... "We work hard to ensure that all children are safe. We aim to give our best for the school." Ms Sultana, Ms Begum, Ms Amrous and Ms Hussain say... "We always make sure all children are safe and happy, and enjoy their lunchtime." Ms Goca, Ms Ramqaj and Ms Musa say.... "We communicate really well with the children, and help them to show respect for everyone around the school." "We all believe in a happy and healthy lunchtime, in which our pupils are safe and active!" We believe that a balanced healthy school lunch is vital to help make sure children are nutritionally re- charged to work through the afternoon and able to deliver their best. Eating a healthy meal is known to improve behaviour, concentration and the ability to achieve, which is why it is especially important that children eat a delicious, healthy meal at school. The school meals meet all nutritional standards and guidelines. Dishes are expertly prepared each day on the premises, using fresh, local organic ingredients. We develop our menus in consultation with pupils and parents to ensure children like their meals. We cater for all medically diagnosed special dietary conditions and aim to provide for a variety of cultural and religious requirements. All KS1 pupils are entitled to free school meals, saving you money and making your life easier, knowing your child is receiving a full balanced healthy, nutritious meal each day. Please ensure you complete an application form for this, from the school reception, so we receive the required funding. Our school meal payment system is cashless. Please make sure you set up your own Pay parent account – see website for further details (add link). Please note that an application for free school meals will be required for older children. Please refer to LBBD website to see if your child is eligible for free school meals. With each school meal purchased, pupils also receive Splashcard reward points to spend on fabulous gifts. It’s a great way to encourage young people to choose delicious healthy school lunches! If your child has opted to have a packed lunch from home, please refer to our Packed lunch policy and our Packed lunch guide to give you some ideas on how to vary your child’s lunches and to ensure they are receiving a balanced diet.